LaserAll are very excited to announce our grand opening in Loveland, Colorado. Unlike medical spas, laser clinics, and dermatologists that offer a variety of services, we are a specialty laser tattoo removal clinic that focuses solely on removing unwanted tattoos. We are experts in this field and know the best methods for treating your skin and obtaining great results. Over 50 millions Americans have tattoos, and up to half of them end up regretting their decision to get inked at some point down the road. Whatever your removal reason is, we understand and want to help! 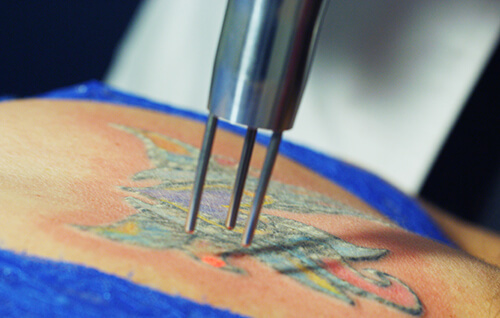 Our clinic is bringing a new level of tattoo removal care and service to Loveland, Greeley, Fort Collins, and beyond. We have invested in cutting-edge laser technology to effectively remove tattoos from all skin colors. LaserAll also uses innovative skin numbing technology to create a relaxing and comfortable experience for every patient. All of our consultations are free of charge – we want to make sure you feel confident walking into your treatments. Make tattoo regret a thing of the past. Let us remove your tattoo or fade it down for a cover-up tattoo. We love what we do and will do everything to make sure your laser tattoo removal experience is a great one. Call us or schedule your appointment online today! Now offering Laser Hair Removal with Zen Laser!! !